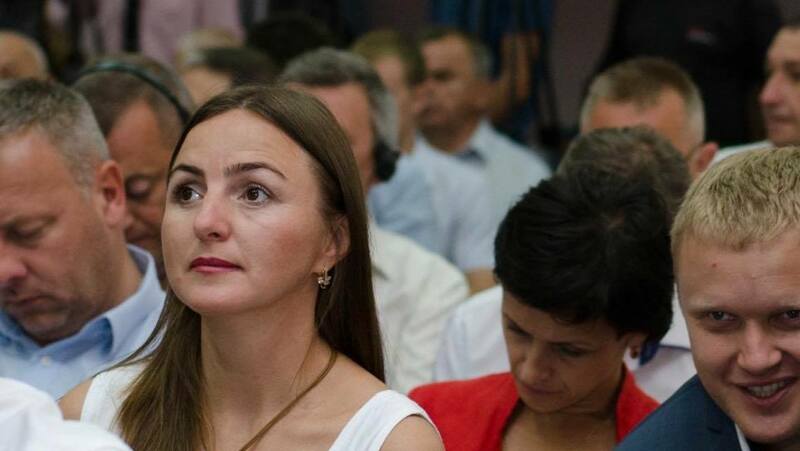 On July 20, 2017, the expert of the NGO “Poruch” and project “Voice of the Communities”, Melnyk Oksana took part in the large-scale forum “Decentralisation – the basis of the formation of a new system of management and local development”, which took place in Ternopil with the participation of Prime Minister of Ukraine Volodymyr Groisman. 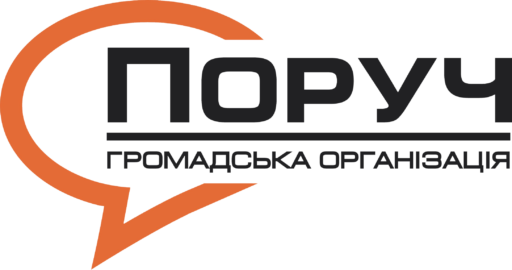 The forum was initiated by the Ternopil Regional State Administration with the support of the Ministry of Regional Development and international technical assistance projects. 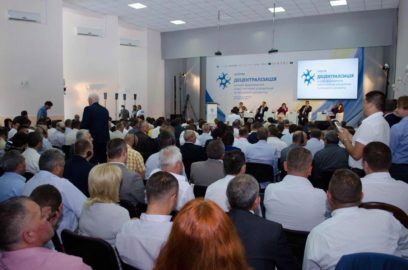 The event took place in the context of the implementation of the reforms in Ukraine in the local government and territorial organization of government, decentralization of government. The Forum was attended by donors working in Ukraine – the Council of Europe, GIZ and others. In addition, representatives of central executive authorities, deputy heads of regional state administrations responsible for decentralization reform, deputy chairman of regional state administration, experts, representatives of international technical assistance projects in the field of reform were also invited to participate in the forum. Representative of the Council of Europe, Special Advisor to the Government of Ukraine on Decentralization of Government, Daniel Popescu outlined the successes and disadvantages of decentralization processes. Prime Minister of Ukraine Volodymyr Groysman noted that leadership in both the state and regional levels and at the community level is at the heart of reforms in general and in decentralization. 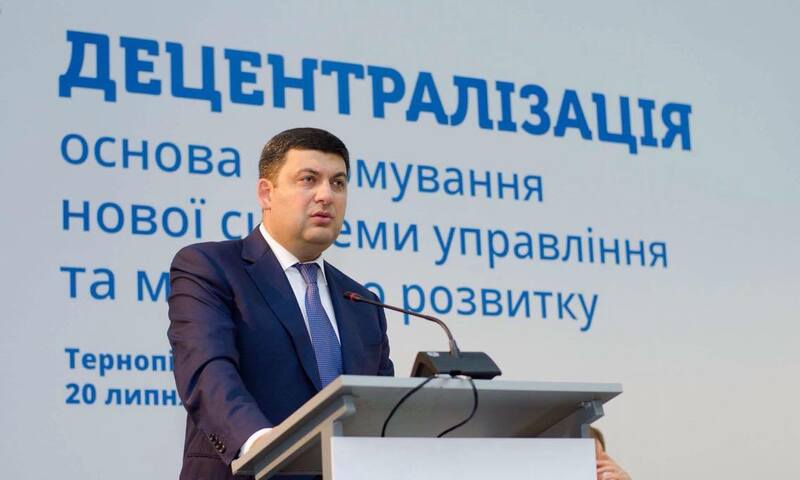 In particular, the Head of Government determined the following priorities of decentralization processes. First, the completion of the process of association of territorial communities, and in principle, that this association remained voluntary. The second priority is the creation of an effective governance model at the regional level. The third is sectoral reforms, which will result in qualitative education as a system for preparing Ukrainians for new realities, as well as for a high-quality health care system. First of all, it is planned to change the financing model of this industry, departing from the policy of supporting health care institutions as such, and instead investing directly in the treatment of Ukrainians. The next priority is local economic development. The fifth priority is to involve citizens in the decision-making process. In addition, the Prime Minister noted that the effectiveness of reforms depends on an effective and constructive dialogue between the authorities and the community. During the event, were named the regions where the process of decentralization was successful: it is, in particular, Ternopil, Dnipro, Khmelnytsky, and others; As well as those where there is a certain opposition to decentralization process – in particular, in Kharkiv, where experts of the “Voice of Communities” project work.